Looking for small kitchen appliances? Pristine white? Colourful rustic? Gleaming modern? 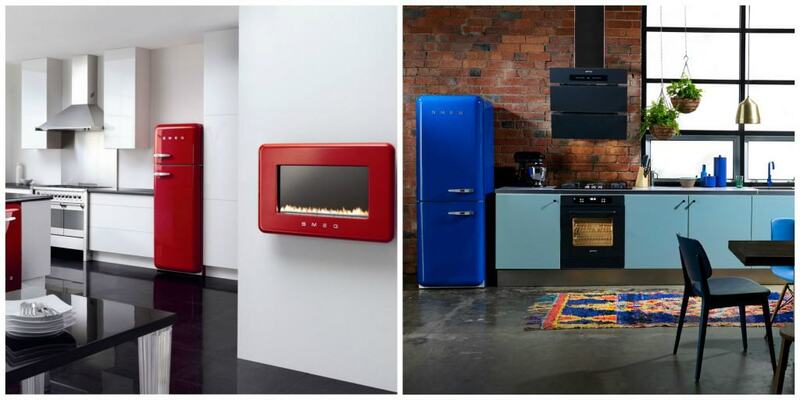 Whatever kitchen you may have, SMEG have colourful new small kitchen appliances to match. You’ll know the famous FAB retro fridges that come in a variety of decor colours; well now you have appliances to match…or mix ‘n match. How can you go wrong with Italian design and award winning style? Well, you can’t. Matteo Bazzicalupo and Raffaella Mangiarotti from Deep Design Studio in Italy worked with SMEG to deliver this stylish collection that includes toaster, blender, kettle and signature kitchen mixer. There are up to seven colours – silver, black, red, panna and pastel blue across the range – plus pastel green and pink for the kettles and two slice toaster. Home owners across the globe have embraced the 50’s retro elegance and sophistication of the range with the stand mixer and toaster already having received the GOOD DESIGN Award from the Chicago Athenaeum Museum of Architecture and Design plus the prestigious international iF Design Award for 2015. The Smeg kettle is feature rich with quiet-boil technology, soft-opening lid, cord-free swivel base and auto shut-off when the body is lifted from the base. It also has an automatic switch off at boiling point. A variable temperature model will be added to the range later this year (2015). Style is always a standout feature of Smeg appliances and so is the brand’s commitment to the very latest technology and highest performance. The kitchen mixer, for example, sets new benchmarks in terms of power and versatility. Features include an 800W high torque motor, 10 speed variable power and the all important soft start (no more splatters when starting at a high speed) and a planetary mixing action to ensure all areas of the bowl are reached. There is also a low-speed front attachment hub for optional attachments such as pasta roller and cutters. A blender, with a capacity of 1.7 litres, an 800W motor and four speeds will be added to the range later this year (2015). Toasters include both a two slice and four slice model with extra wide slots, reheat, defrost, cancel and bagel settings plus self-centring racks, six browning levels and removable stainless steel crumb tray. Each of these small kitchen appliances features an enamel-coated stainless steel body manufactured to the highest standards. 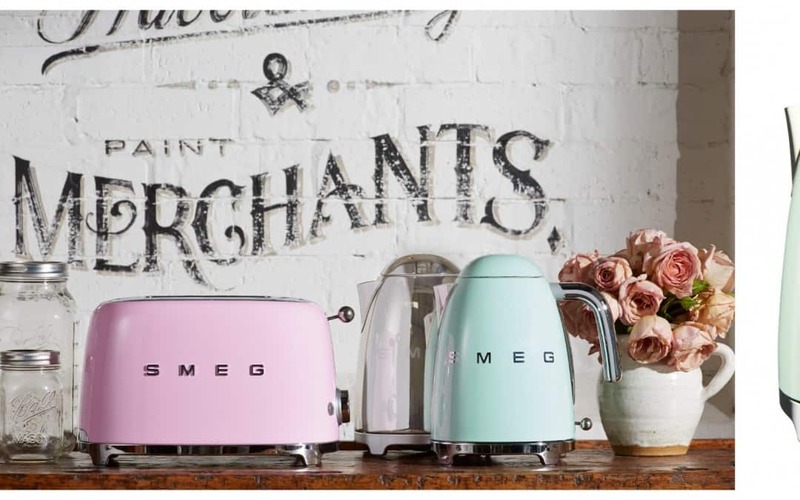 SMEG provides a 12-month replacement warranty on all kettles and toasters, a three month replacement warranty and five year full manufacturer’s warranty on all kitchen mixers. The complete range of SMEG small kitchen appliances is available from electrical and appliance retailers nationally from May 2015. Please visit www.smeg.com.au for more details. If you are looking for stylish kitchen items, check out the new black & white and marble tableware from Noritake and Salt&Pepper featured here on Don’t Call Me Penny.